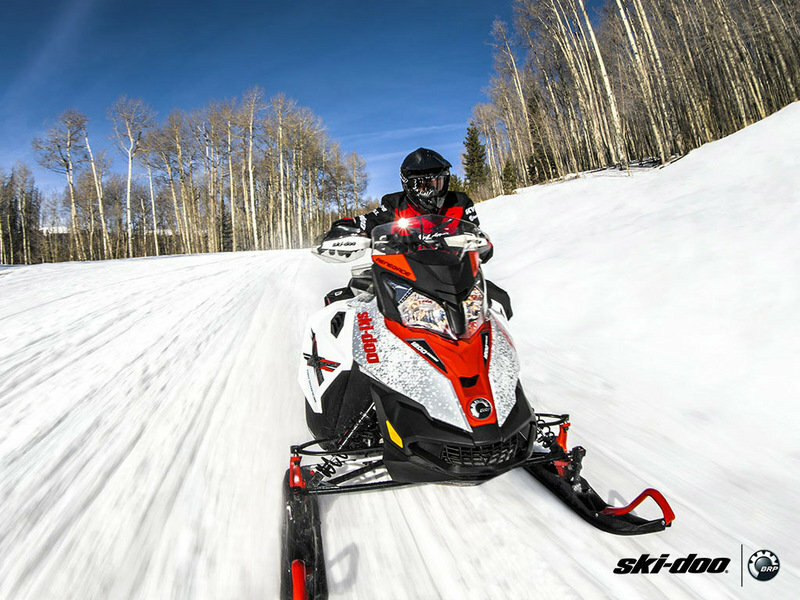 Ski-Doo further sharpen the industry’s best handling snowmobiles. New geometry and lighter components increase precision, especially in extreme bumps. Sharp new styling, too. Reduces weight by 1.76 lb (0.8 kg). The Pilot TS ski is available as a Spring order option with the Adjustment Package. This option includes rMotion Quick Adjust system with no-tool tuning of the rear spring preload and shock compression damping on the running boards and new Pilot TS adjustable skis. Available as a Spring Order option on select models*. *On Renegade X-RS, Renegade X, MXZ X-RS and MXZ X. 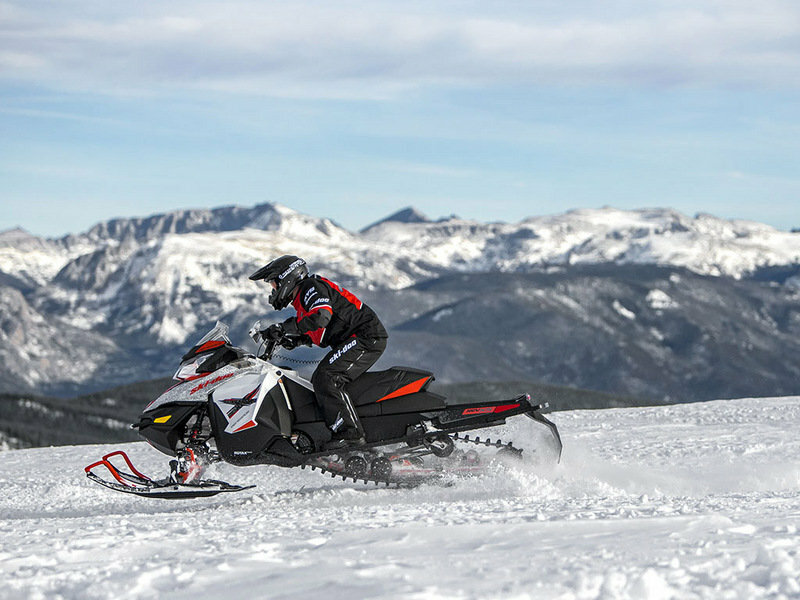 “The Ski-Doo segment with the most models now grows to one more with the addition of the Renegade Enduro. Ski-Doo blazed new trail with the Renegade, and they seem to be blazing further now with the Enduro. 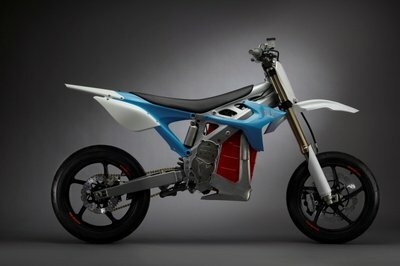 This model is based on the adventure style motorcycles, where you ride the highways, and then ride the dirt. 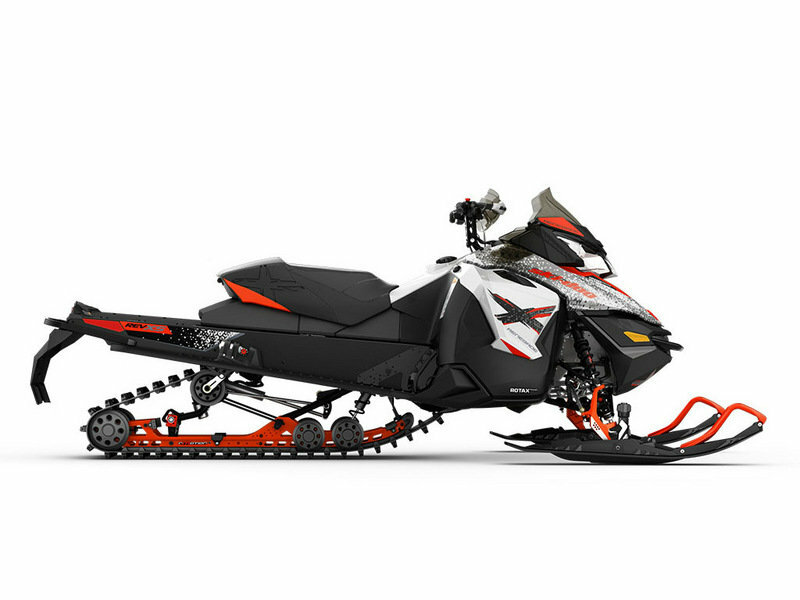 In our opinion, this is the most gorgeous sled in the Ski-Doo lineup. It is styled in the REV-XS platform with the 137” rMotion Air Ride rear suspension that can be adjusted in 5 positions on-the-fly right from the handlebar. It also comes standard with the Pilot TS skis. 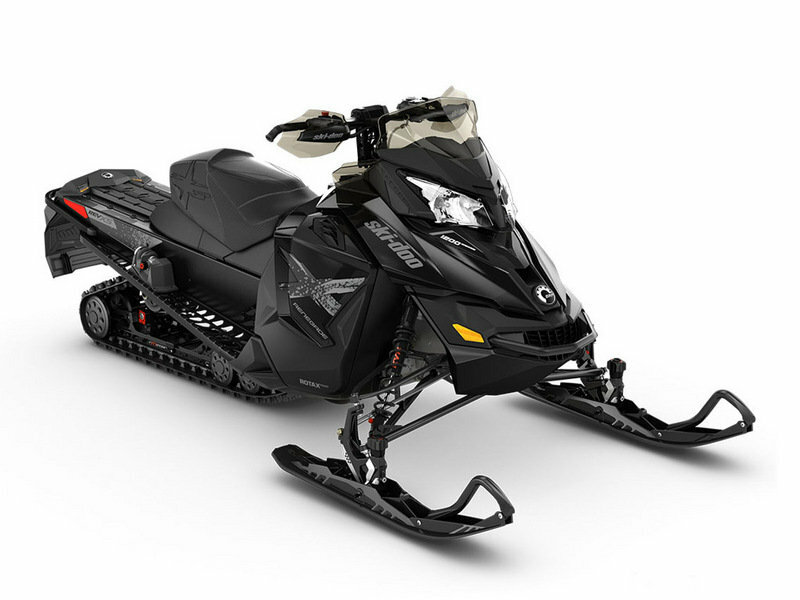 Available engines include the 800R E-TEC, 600 H.O. E-TEC, updated 1200 4-TEC, and the 900 ACE. The Enduro also features the XC front bumper, because you will be taking this thing everywhere.